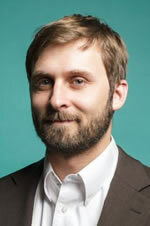 John Foreman is the chief data scientist for MailChimp.com. He’s also a recovering management consultant who’s done a lot of analytics work for large businesses (Coke, Royal Caribbean, Intercontinental Hotels) and the government. These days Foreman does all sorts of awesome data science for MailChimp and blogs for fun about analytics through narrative fiction at Analytics Made Skeezy. Spoiler alert: the characters who do meth are frequently confused or in peril. Foreman does not do meth. Foreman’s book on data science, Data Smart: Using Data Science to Transform Information into Insight, is now out from Wiley. Subscribe to Foreman’s email list for updates and book tour information.